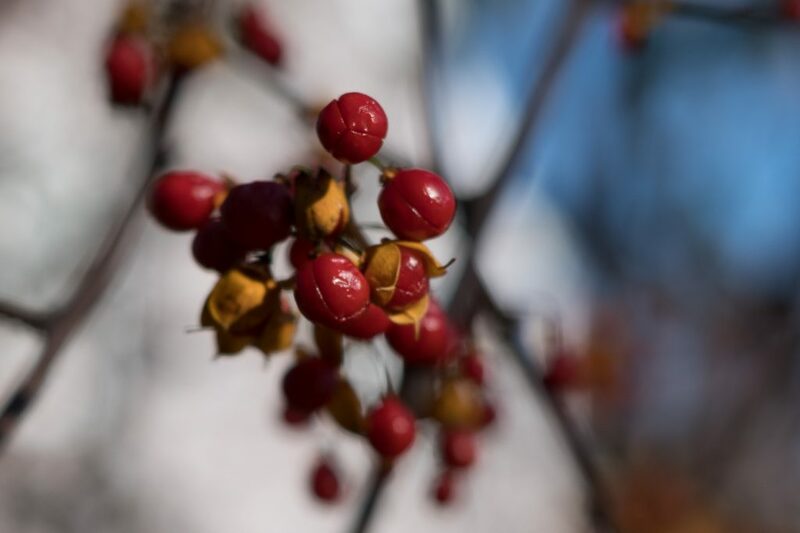 These berries don’t last very long – the leaves fall and they are revealed, and the skins peel back and drop away and they are gone. 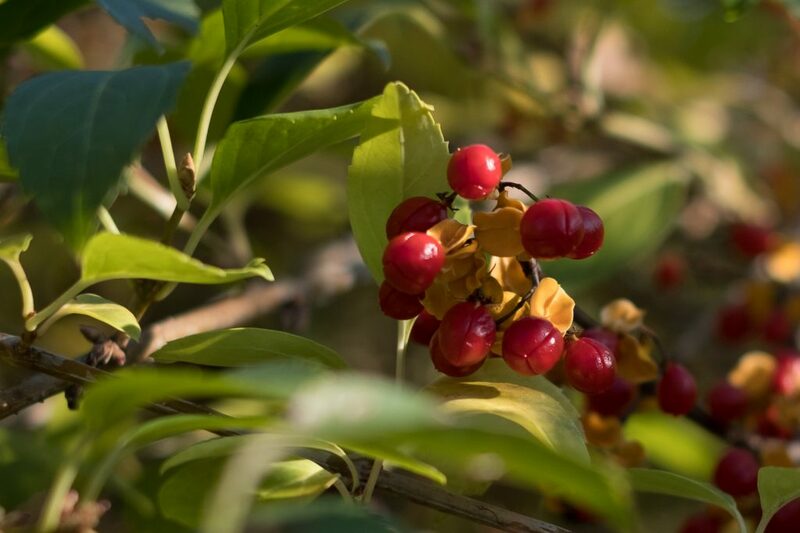 These photographs follow Berries (Fall) 2018 and (more) Berries, Fall 2018. Those first pictures were from seeing the way the light was hitting the fence and berries and luck in grabbing the 35mm f1.4 and then managing to capture what I saw. This was the reverse – seeing that the light might provide possibilities and going to look for what might happen – more of a forced effort than a burst of instinct and inspiration.